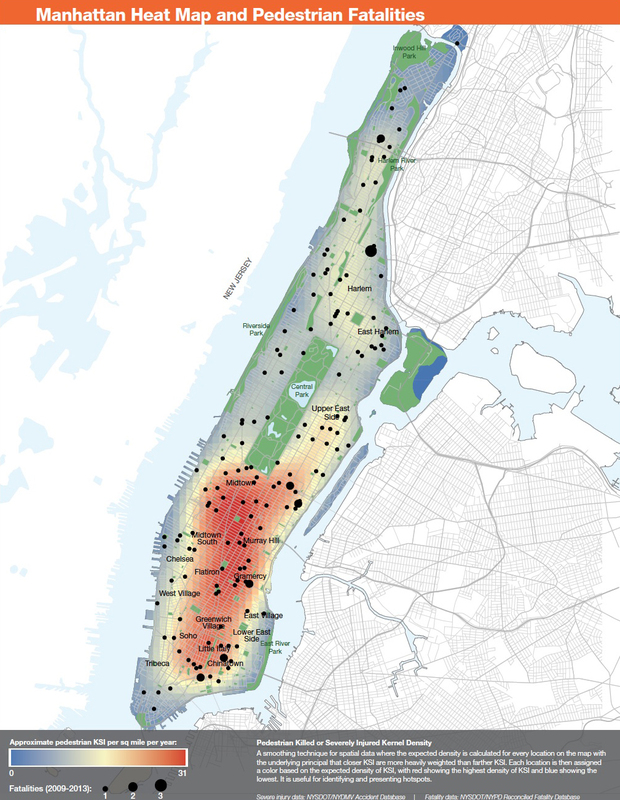 THIS NEW MAP from the NYC DOT shows where pedestrians are killed in Manhattan. The overwhelming majority of the deaths happen to city residents who don’t own cars, to workers in the Manhattan who used public transit for their commute, or to tourists who arrived by plane, bus, or train. This entry was posted in Culture, Current, New Urbanism, New York, Pedestrian, Slow Streets, Urbanism. Bookmark the permalink.